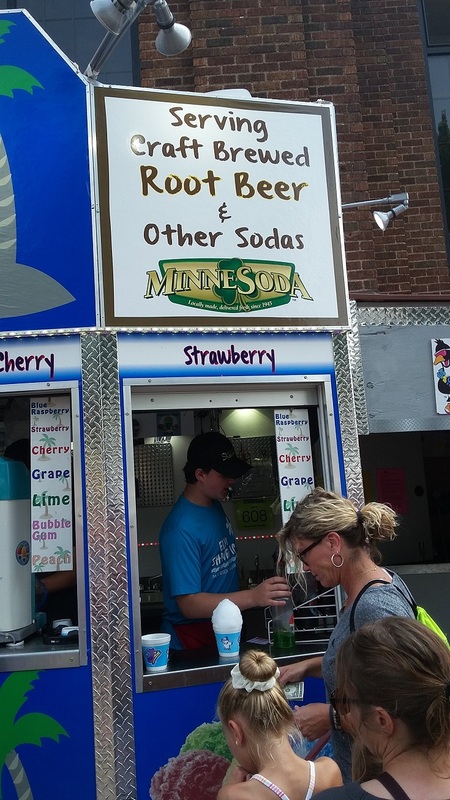 So as you know, I was at the Minnesota State Fair this past weekend on a quest for a root beer stand review. Over the course of five hours of walking basically every part, I came to a happy realization. 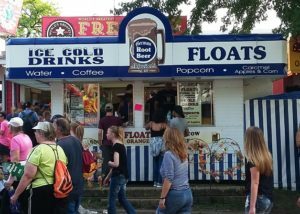 In addition to the food-on-a-stick, animals, rides, cookies (oh those fresh cookies), and exhibits, there was another overarching theme. And that is root beer. 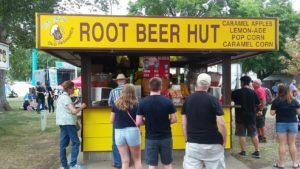 I made this discovery as I first trekked to The Root Beer Hut I saw a root beer barrel stand. I was very amazed and curious. I went to see if they had their own root beer. 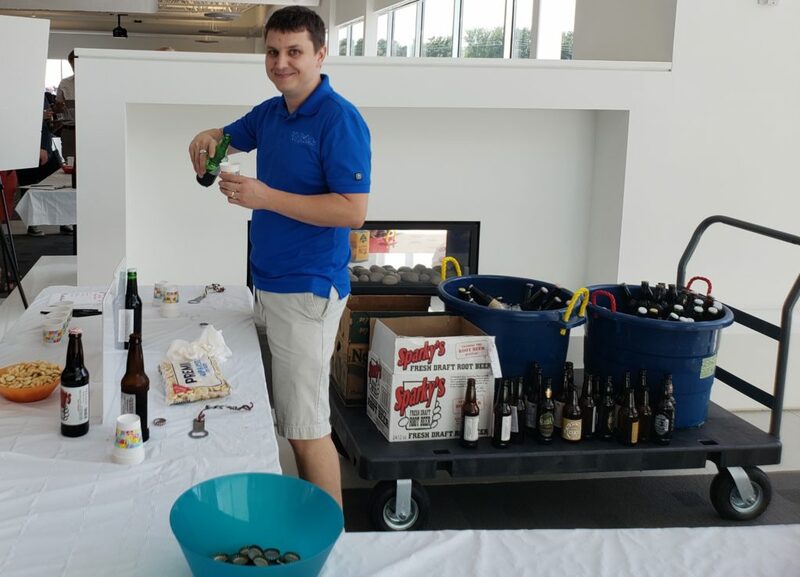 They said no, but had IBC in their fountains along with other sodas. Someone told me it was actually A&W, the dispenser itself said Mug, but it doesn’t matter. They weren’t advertising soda, they were advertising root beer. There was more than one of these barrels that I found (3 maybe) just out there selling root beer. There was The Root Beer Hut and The Red Barn Root Beer by the same family. 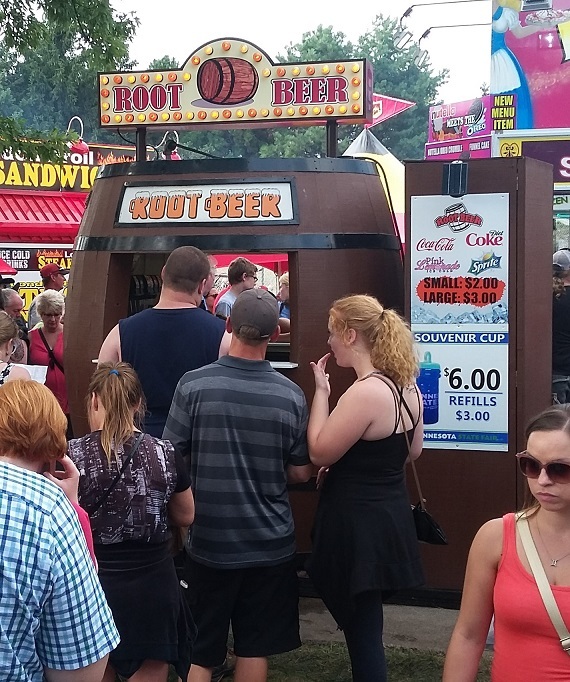 I also found a surprise root beer stand, the German Root Beer stands (review coming Wednesday). 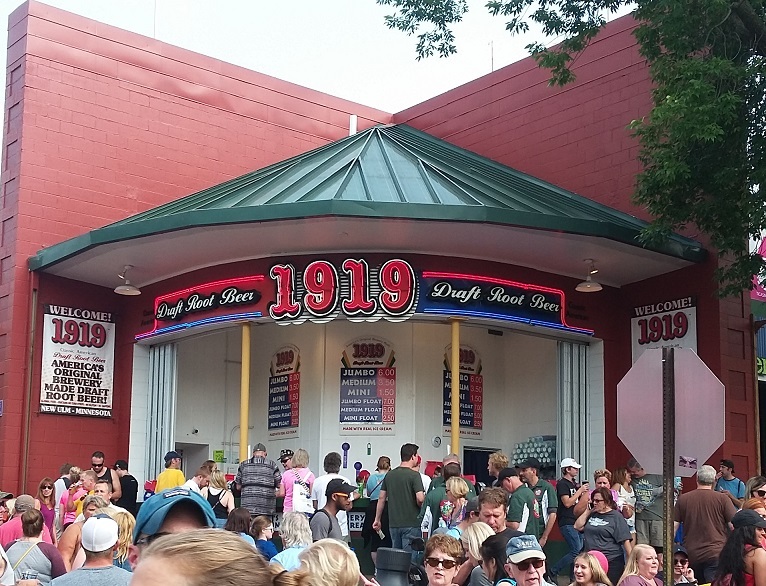 There was a 1919 root beer stand, and a shaved ice stand with a big barrel advertising some craft brewed root beer that I’d never heard of. 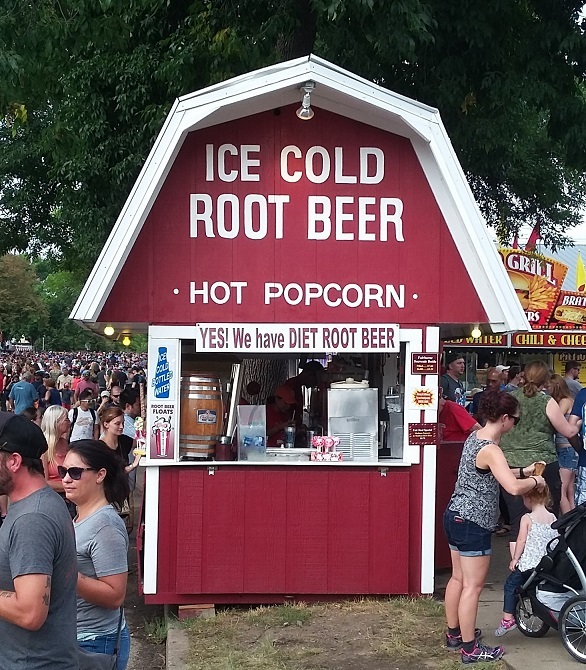 It’s clear, that root beer is just as much a feature of the Great Minnesota Get-Together as anything. 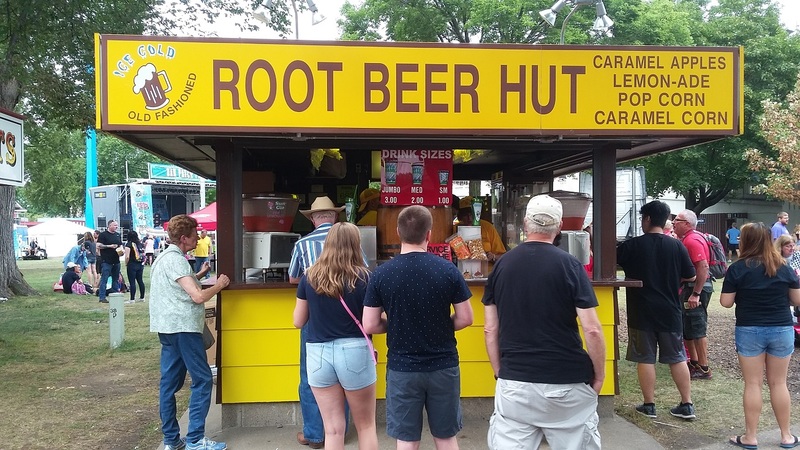 Minnesota truly is the right place for a root beer gourmet like me. 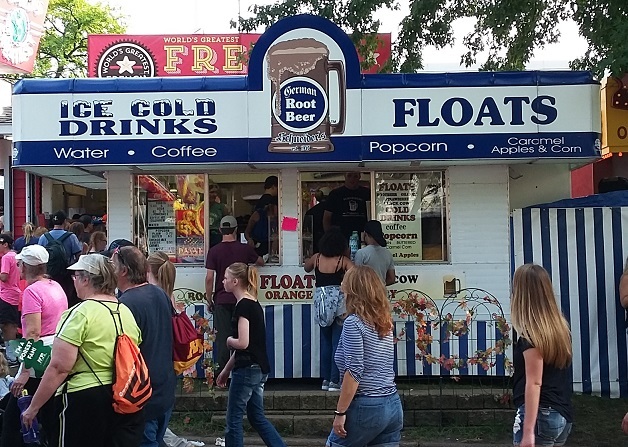 So if you’re in the area and love root beer, get on down to the State Fair! 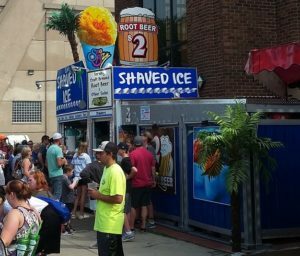 The shaved ice root beer. I don’t know the brand. 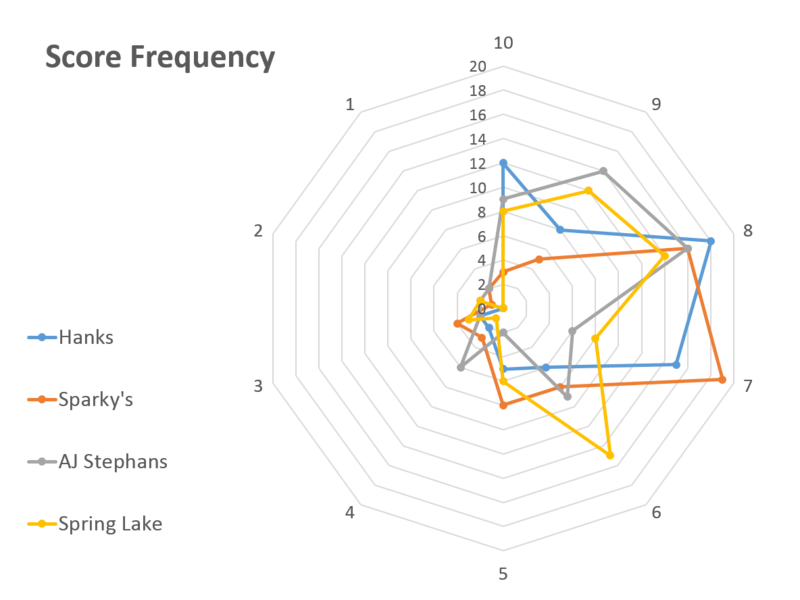 I’ll investigate more next year. It’s a shaved ice stand, not a root beer stand, so no review … yet. 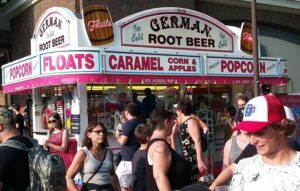 Schneider’s German Root Beer stand. 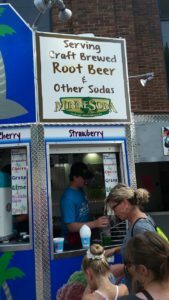 The surprise root beer at the fair for me. 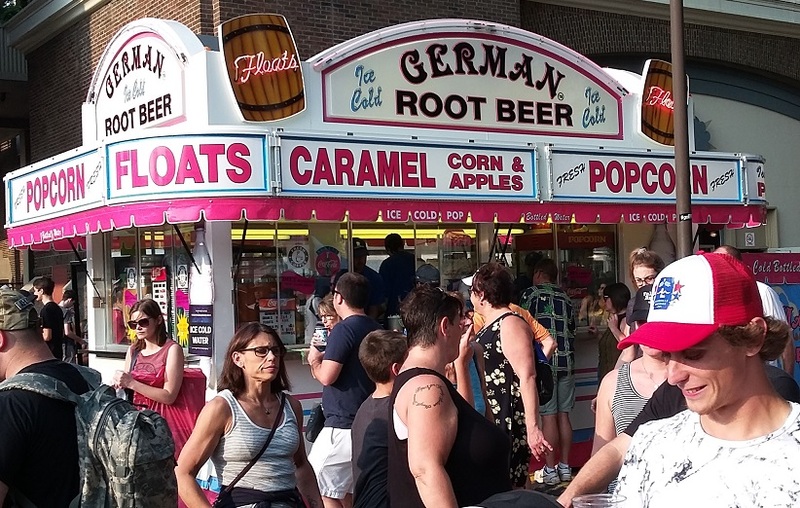 The other German Root Beer stand. Same owners, same unique family recipe since the 1940s. 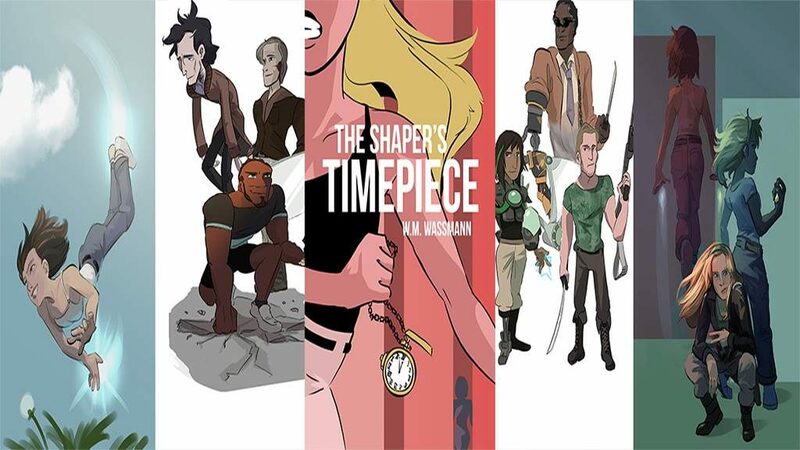 So I have a friend, an amazing fellow from my Zombie Tag days, who has written a book, The Shaper’s Timepiece. 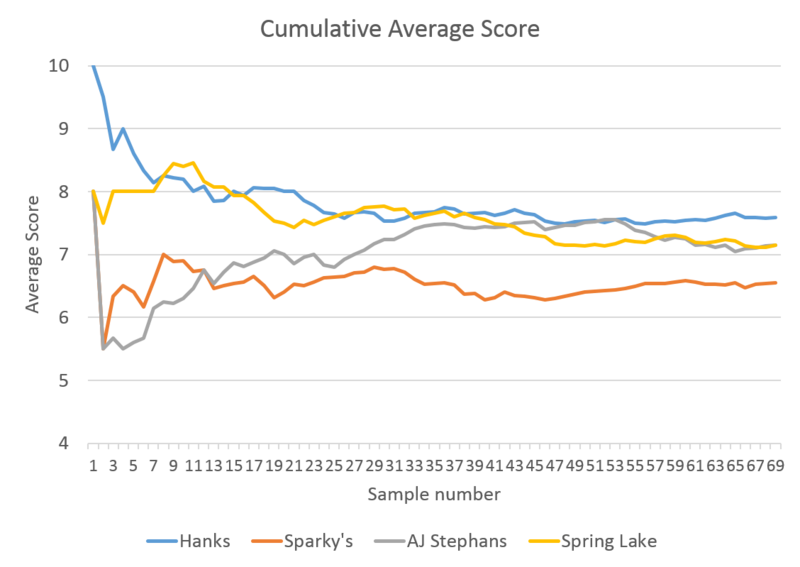 A scifi super hero book that is quite interesting from what I’ve read of it. As he was promoting it before he launched his KickStarter I jokingly asked if root beer made an appearance in the book. He, quite surprised, responded that it did. 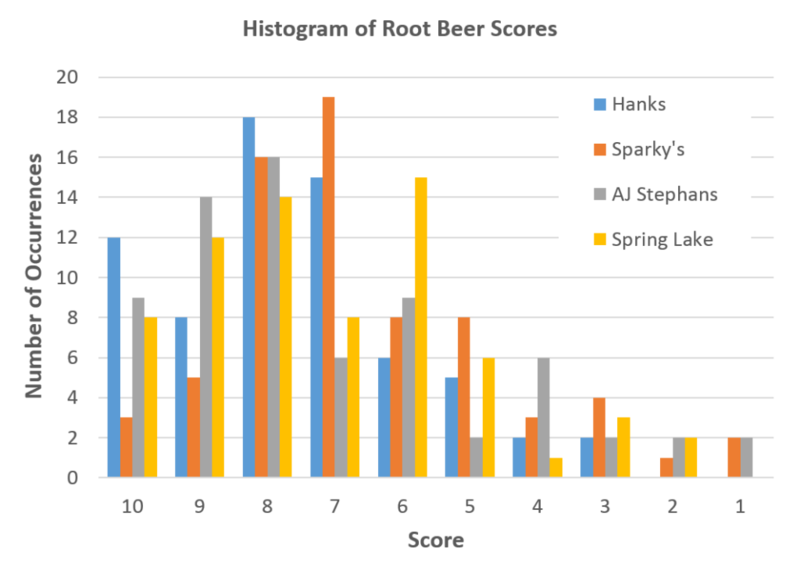 Well, I can always get behind root beer in pop culture. 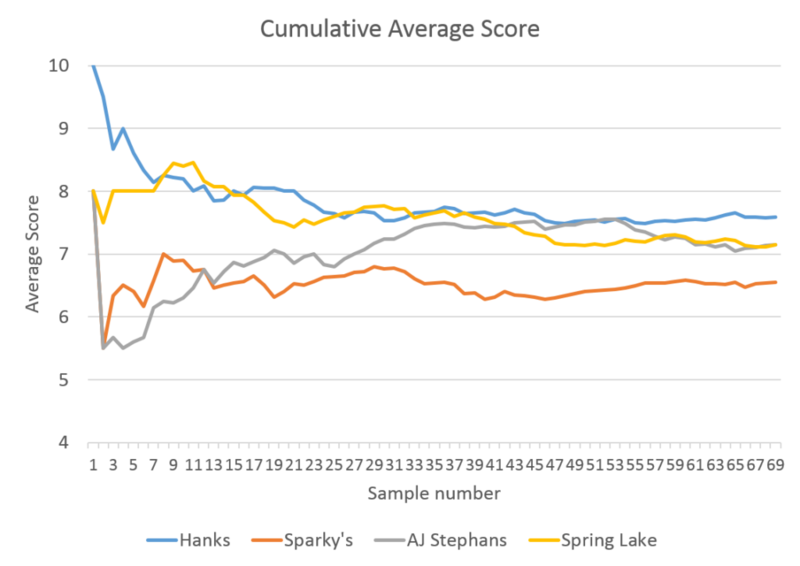 How else will our beloved beverage continue to spread? If science fiction, super hero books that mention root beer occasionally are your thing, check it out and give your support if you feel so inclined.